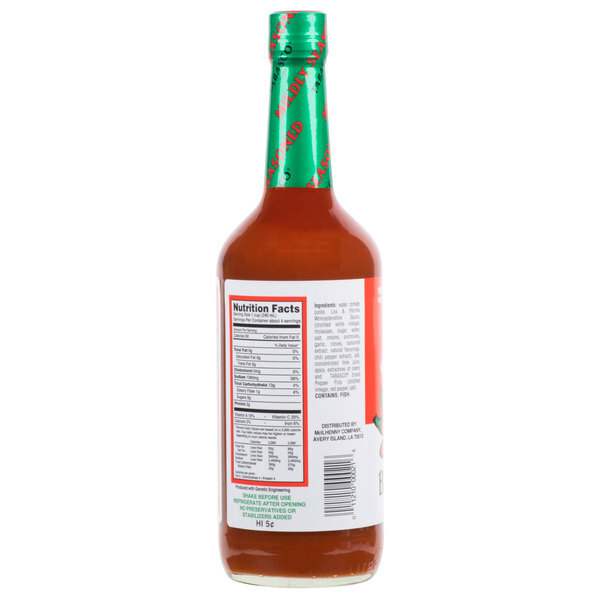 Add the bold flavor of your favorite hot sauce into your popular bar drinks with this TABASCO® 32 oz. original bloody mary mix! Use this drink mix to whip up round after round of savory mixed drinks. It has a vivid color and distinctive flavor that sets it apart from your selection of sweet and fruity mixed drinks. A bloody mary is also recognized for being a restorative drink, making it a great choice for your breakfast, lunch, or brunch menu. 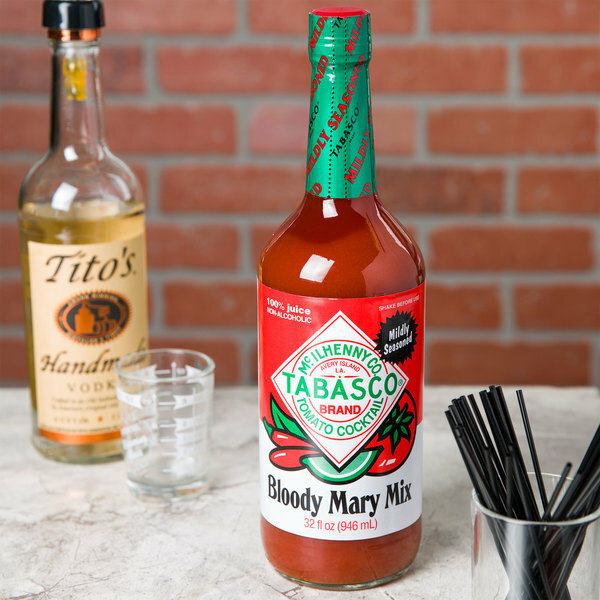 Choose TABASCO® drink mix for your restaurant or event, and your guests will recognize the brand name as one that stands for consistent quality and taste! 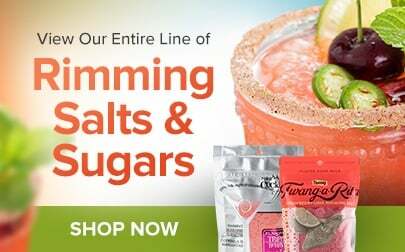 Ready to use, this mix will help reduce the number of ingredients your bartenders need to make bloody mary drinks. 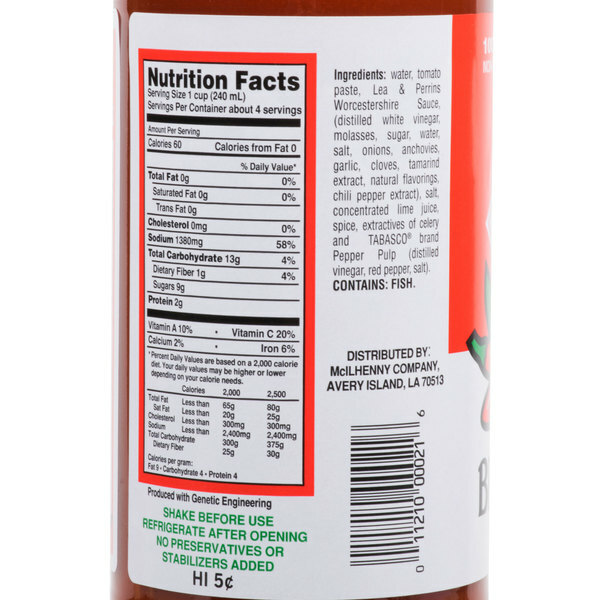 It contains 100% juice and is non-alcoholic, so this mix can even be used to make a virgin bloody mary. 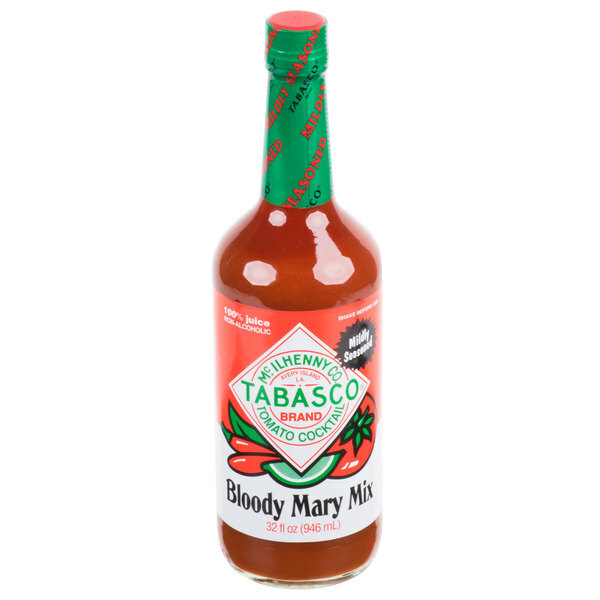 TABASCO® mildly seasoned bloody mary mix comes in an easy-pour glass bottle for easy prep. 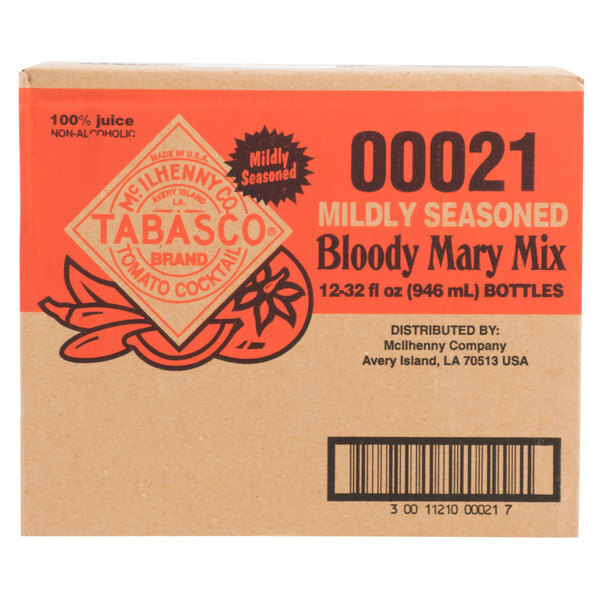 Tabasco original blood Mary mix is absolutely so convenient. Everything is already mixed together and all you have to do is add your alcohol to the mix. In my honest opinion this is the best bloody mary mix. A lot of the other mixes just taste like tomato juice. Great mix from a name brand. 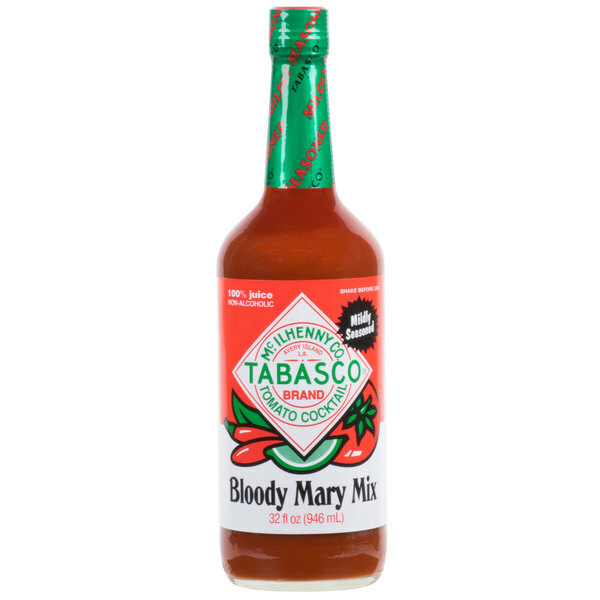 Tabasco is by far the best bloody Mary mix out there, it's good by itself but we doctor it up with our own spices and a shot of steak sauce. I am so glad that this stuff comes in a case now. We use to have to order single bottles of it and now we do not have to. We use it all the time. I love bloody Mary cocktails and adding tabasco is a must. I love the fact I can buy this mix and simply just add my vodka. A great idea and very pleased. 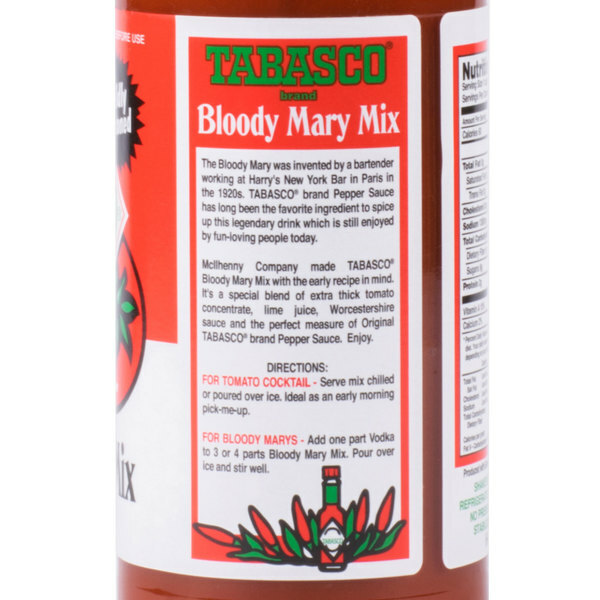 The Tabasco original bloody mary mix has an awesome flavor and pairs really well with my Absolut vodka. It makes some of the most flavorful bloody marys I have ever had.